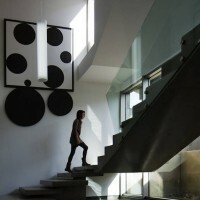 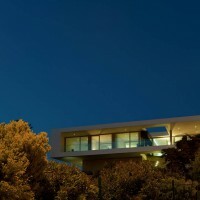 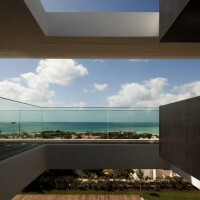 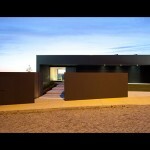 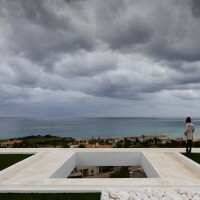 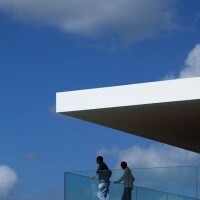 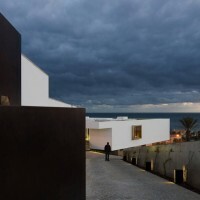 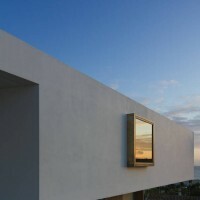 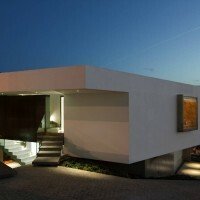 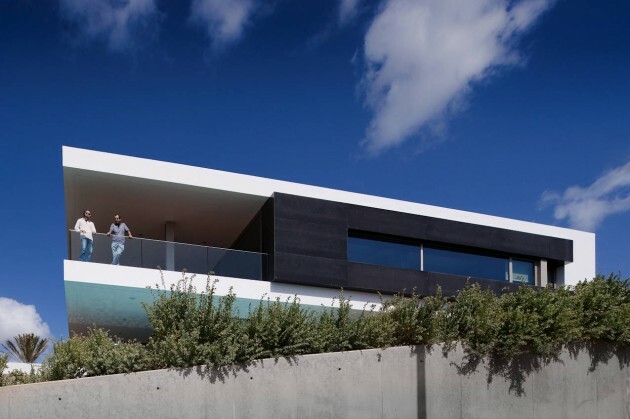 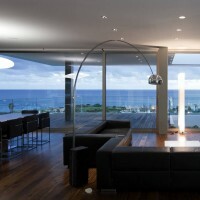 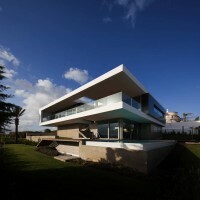 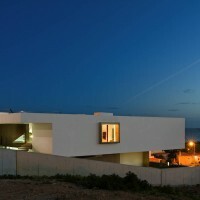 Portuguese architect Mario Martins designed this ocean view home in Lagos, Portugal. 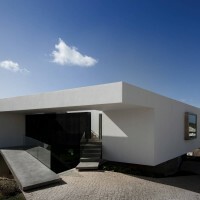 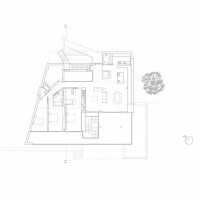 This house was designed in featureless surroundings but with a fabulous view over the west Algarve coast, which receives the westerly sun in abundance. 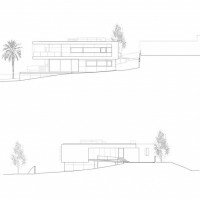 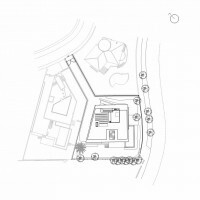 The project is based on technically evolved solutions, with the emphasis on energy sustainability, the use of geothermal power and an integrated domotics system. 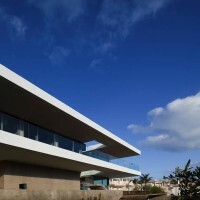 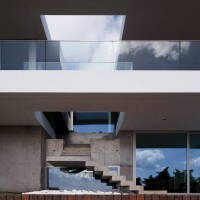 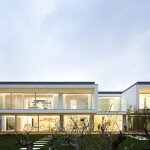 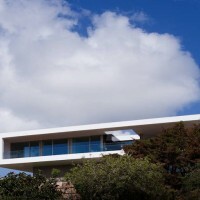 The building was designed on the basis of lightness and it rests on an exposed concrete base, balanced over landscaped terraces and the water features (swimming pool and lakes). 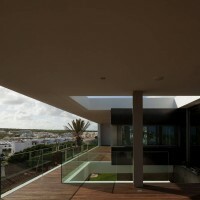 The gardened roof accentuates this concept. 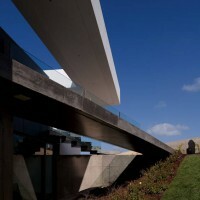 The entrance is over a suspended concrete walkway. 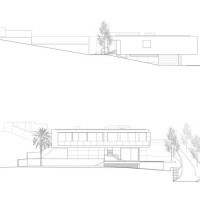 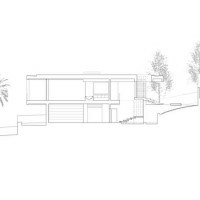 On reaching the upper storey we grasp the fluidity of the space containing the sitting room, kitchen and the large double height area, where a reflecting pool fills the entire space. 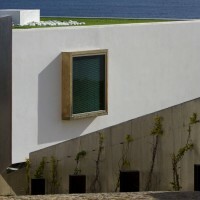 Visit Mario Martins’ website – here.